I am going to begin this review by getting personal, because trying to write this has actually created some writer's block for me, and explaining why that is so is the only way I know how to explain my experience with Pacemaker Stix hiking and Nordic walking sticks. Back in June I was asked to try out some Pacemaker Stix for review, and while I was intrigued by them, my initial instinct was to say no, and suggest that one of our many able bodied and more fit reviewers take these on. My litany of reasons were many - I have advanced rheumatoid arthritis, I walk with a cane for Pete's sake so how could I possibly use hiking sticks? I don't hike - it is hard for me to exercise at all. I didn't know if my hands - badly deformed from RA - could even hold the poles. Unspoken, but just as compelling... I am so out of shape, I will feel self conscious out walking in public, much less including pictures of me in all my overweight, out of shape glory. I'll fail, be unable to use them, and then how will I do the review? How would I even be able to sort out whether or not they do their job well if it's me that is inadequate? Several years ago, I shattered my hip and never fully recovered, even after it was replaced. Two years ago, I went through a long RA flare that put me in a wheelchair for a few months. Emotionally and mentally, as well as physically, I still experience a sense of impending doom about finding myself there again. So... me and fitness have not actually been on speaking terms for a long time, and I have put much more effort into resigning myself to that than I have to letting myself believe that I can improve my fitness level, and in the process reduce my pain and increase my mobility and balance. So.... I said, no, I don't think these are for me. They'll want someone that can give these things a good workout, and really show them off to their best ability, right? Also, I just don't know how I could fairly review a product for athletes in a way that would be helpful to anyone inclined to use them. Around that same time, I started a new medication regimen for RA that promised to greatly reduce symptoms and has in fact done just that! That has helped me feel some hope about trying a physical routine I might be able to do and even stick with - but it was Pacemaker Stix website that convinced me that maybe, just maybe, they would be ok with letting me try their product and maybe I could even say something meaningful about them. I wasn't even considering at that point that I might be able to use these long after I was done working with them for review (boy, was I wrong there). On their Our Story page, it says "PaceMaker Stix creates hiking and walking poles & accessories for the 'rest of us'.” I am heading the pack when it comes to 'the rest of us'! While not everyone has my particular brand of challenge, we are, as a nation, full of people who have found it difficult for one reason or another to get moving. On their articles list, they actually highlight the use of hiking sticks and Nordic Walking sticks as helpful for seniors and those recovering from surgery. The technique is recommended as a part of physical therapy. Even though my surgery happened a few years ago now, I started to wonder if maybe using these might help me build up the necessary strength and balance to reduce my need for a cane. I was surprised, then, to receive a package with further explanation that it was, indeed, people like me that they hoped to introduce to their line of walking sticks! 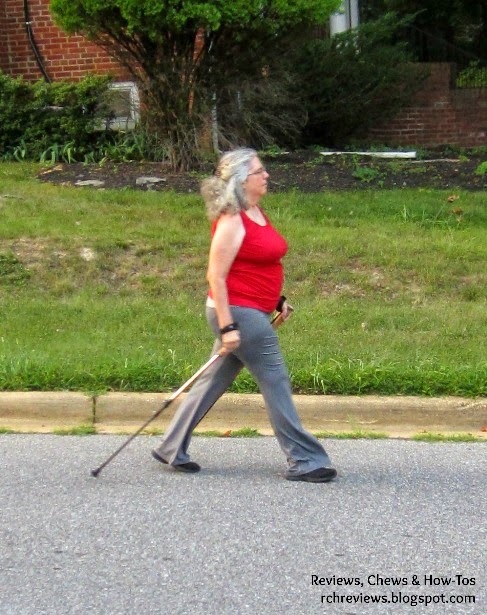 This makes me very happy, because after over a month of using my Pacemaker Stix daily, I want to shout to the rooftops to everyone who is using a cane for balance that there is a better way. Here's the deal - a cane works by providing a 'leg' on the opposite side of whichever leg isn't holding its own well. So you use a cane on your right side if your left leg is weak or otherwise unable to fully support you. This does a number of things to your body - you wind up with that classic cane hunch, even when your cane is at the right height. The arm that holds the cane takes on a lot of the impact, the elbow is left in a 'crooked' position that can be tiring and even cause permanent contraction of the tendons, and the shoulder, wrist and elbow on that side can get quite achy - for those of us with RA, a flare in any of those places can make it very difficult to hold the cane, so that a sore elbow can make it difficult to walk even on days when the leg joints are doing fine. Additionally, the 'good' leg is also taking on labor that the bad leg can't, and everything gets thrown over to that side, which can lead to back issues. I've been doing years of that now, and my posture is horrible. That's the situation I was in when I opened my Pacemaker Stix package. Inside, I found that I'd been sent two sets of sticks - the Expedition Poles, which are trekking poles, and Aerostride Nordic Walking Poles. Now, if you're as inexperienced with these things as I am, you're wondering what the difference is. Each set of sticks came with the same variety of attachments - in addition to the basic tips, they both come with extended life rubber feet, trail baskets and snow baskets - the last two allow use on non-paved surfaces, so the poles won't sink into dirt, sand or snow. I'm greatly looking forward to using my sticks over the winter, but so far, I mainly use the rubber feet, which provide both traction on occasional rough surfaces, and provide a bit of shock absorption on pavement. I find these to be the most comfortable choice, although I will switch to the more cleat-like tungsten tips and baskets when I start going off paved surfaces more. But I am getting ahead of myself - before I could use my Pacemaker Stix, I had to figure out how. Here is one area where I do wish their website had more information - the instructional videos included were a huge help in understanding how to expand them to the right height and how to use the snow baskets, but I still found myself combing YouTube for other videos explaining how to walk with them. Since they are highlighting their use by nonatheletic types, I'd love to see some beginner walking and hiking tutorials on the site itself. But YouTube came through for me. I came across a video discussing hiking poles vs. Nordic walking poles that included a comment that has become my mantra - it said "it matters much less how long you walk, than how often you walk". Even just a few minutes a day of mindful use helps train your body to better balance and posture. Over time, that will lead to greater endurance. So, seriously, if you take nothing else away from this at all, understand this: using Pacemaker Stix for one month has done more for overcoming what I thought of as a permanent disability than seven years of physical therapy and medication. Truly, they are a miracle to me. OK, I think that's enough lead-in to explain how very much I love these things - so now, let me try to explain what they are and the differences between the two I have been working with. While each of these are very similar, and could easily be used for both techniques, what I have learned is that Nordic Walking is an entirely different process than using hiking sticks. The best resource I found for actually explaining both types of poles, their benefits, differences and how to use them was Adventure Buddies, and I suggest that anyone considering giving them a try should spend some time looking over the site. 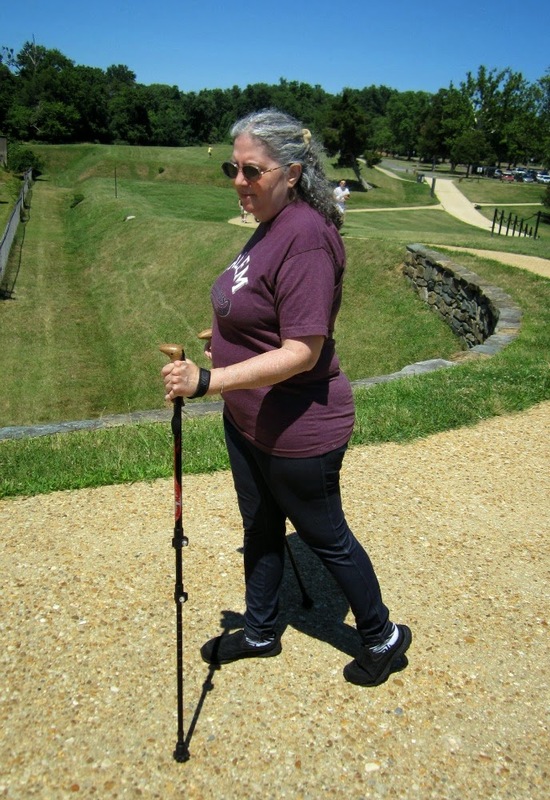 Because of my physical issues, I did not immediately feel able to handle Nordic Walking, which is a method of bringing in a full-body workout to one's walking routine. Briefly (because I am going to review these in more depth in a later entry), the Aerostride Nordic Walking Poles are meant to be at at a height that puts the elbow a bit lower than a 90 degree angle, come with a heavier wrist strap that more firmly holds the pole onto your hand, and are meant to be used behind the body as one walks. The heavier, glovelike straps means you needn't grasp the pole firmly, but instead keep arms and feet moving, while the pole is in a 'skiing' position. This is a great fitness workout - the poles aren't being used to help balance, but to keep the body aligned well while moving. While I look forward to working a lot more with this technique, I am still building up to the point where I feel strong and confident enough to walk without balance support. 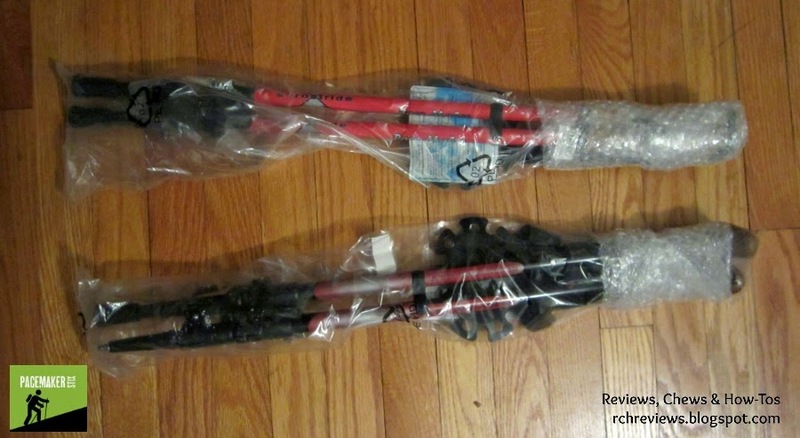 So for this review, I'd like to talk about the Expedition Hiking Poles, because these have become my best friends! The first thing I did was to watch the video to determine how to set the height properly. These sticks telescope in two parts and have a handy flip open clasp that makes it easy even for someone with hand grip issues to open and close them to lock in place. There are markings on the telescoping section that helps determine where to set them, which is really convenient, because when they are completely contracted, they're actually small enough at 27" to tuck into a backpack without taking up much space, and they weigh only slightly over 10 oz each. In fact, some of the research I did on trekking poles in general speaks of these as a means of walking on hills where one side is higher than the other - you can quickly change the height of the poles so that one is longer than the other to tackle long stretches of odd terrain in a way that greatly reduces the impact to your body. You can also lengthen them for going down hills, and shorten them for going up steep hills, and switching heights is so fast and simple that this isn't any big deal. Let me tell you something - even a simple hill in a front yard has been beyond me for years. Trying to walk down slippery grass with a cane is a good way to suddenly find yourself doing an accidental somersault. There are places I go fairly often that require walking the long way around to avoid such minor obstacles, but suddenly, I can handle them with fast dispatch, because of the Expedition Hiking Poles. That right there is lifechanging! See how I keep getting distracted to just gush?? After looking at a few videos about how to walk with hiking sticks and Nordic Walking poles, and getting my sticks set to the correct height, my first trip out was to walk around the block. 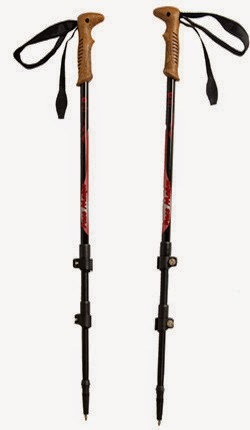 Still unsure of which set would work best, I started with the Aerostride Nordic Walking Poles (I've since mainly worked with the hiking sticks). There is a stretch we frequently walk with our dog that is a little over a quarter mile total, so that one leg around is just a few minutes long, and four times around is a bit over a mile. It was a little intimidating that first time, because if these weren't working for me, I'd be stuck having to struggle home without a cane - so the first couple times, I made sure my husband was with me in case something went wrong. Far from it, though, I found my posture was immediately improved, and I could feel that nice stretchy not-exactly-an-ache feeling of unused muscles being used - my back was straighter, my hips were getting a good stretch, my balance felt immensely better and my pace was far quicker than I imagined possible, even though I was making no effort at all to go fast. While Nordic Walking sticks are mainly used behind you, with hiking sticks, you set the stick in front of you, so that it lands to the front opposite your forward stepping foot. This is harder to explain than it is to do - the first few times, I'd have to stop for a second and get them lined up, but once you get going it really is intuitive enough that I don't think about it anymore. My biggest reason for deciding to work exclusively with the hiking sticks first was so that I could intuitively learn one skill before trying to learn another. Any unevenness is quickly compensated for naturally, and since that first walk, I've handled long stretches on cobblestone streets (my nemesis, here in the DC area, where historical sections are really hard to walk on), taken steep hills, both grassy and paved, and even help me up and down stairs with relative ease. Pacemaker Stix have let me reclaim my place in the world - it's as simple as that for me. 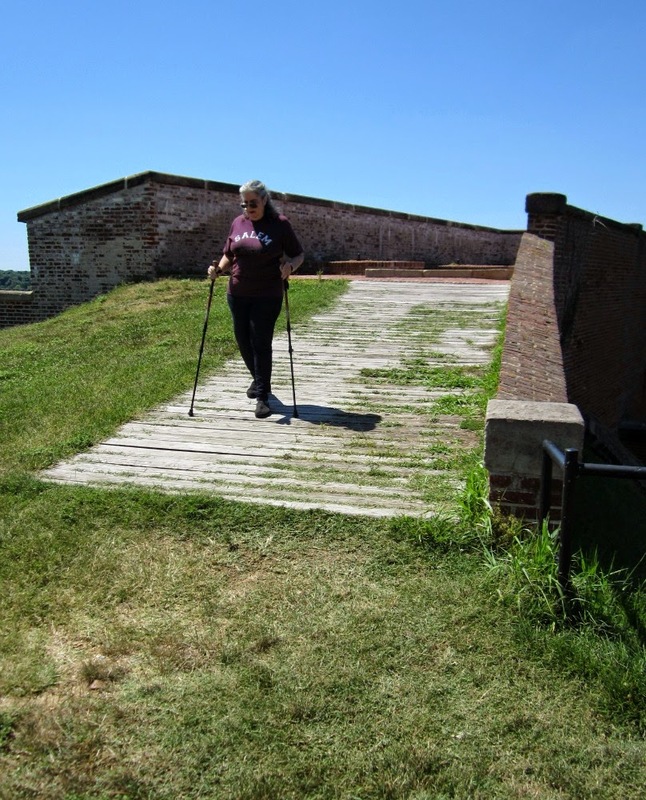 My first 'big walk' was out to Fort Washington, a Revolutionary War fort near our house that was built across the Potomac from George Washington's Mount Vernon. Originally it was built to protect the area from British ships coming to Washington up the Potomac. It is a beautiful place to spend time, with plenty of grassy slopes and a lovely view across the water if you can traverse the steep hills up to the remains of the fort. I've not even tried to be there in several years, so this was BIG for me - if I tired out, I'd be stuck because there'd be no way back to the car without a long walk. I do wish I'd brought a pedometer, but I'm estimating that we walked about two miles total with very little downtime. I was able to climb up to a viewing spot that requires going up a long and steep walkway that would have been too hazardous to attempt on my cane. I haven't felt as proud of myself about anything in years as I did when I was able to come down this hill without anyone right there to spot me - the hiking sticks let me adjust my balance, and make sure I had a firm grip for each step of the way. That was the moment when I was completely sold, and ever since, people I know have been putting up with my constant bragging about 'my sticks' and how they're changing my life. My second big adventure (with lots of daily routine use between times) came when I had to go into DC for the day. I no longer drive (because my hands cannot safely grip the steering wheel anymore), so once my business was concluded, I had a few hours to hang out in the city until my husband could pick me up at a metro stop. This meant that I'd be walking, with frequent planned stops for rest, for hours. This would simply not have been possible on a cane, and the choices would have been either a day of misery for me, or his needing to take a day off work to accommodate me. Bouyed by the confidence the Pacemaker Stix have given me, I planned a day of urban adventure that involved sight seeing in the Dupont Circle area and a few trips on the Metro to get around. I took a couple 'DC on foot' tour guides, a quick reference map, a journal to write in (a TARDIS journal, because what better travel journal could there be? ), a backpack to keep myself hands-free, and my trusty Expedition Hiking Poles. I easily walked at least 3 miles (at a conservative guess), keeping to areas where I knew there were benches and a coffee shop or store that allowed access to a bathroom. By the end of the day, I'd had my fill of lazy window-shopping, people and pigeon watching, met some interesting characters and was tired but not exhausted - after a full day of urban hiking with a loaded backpack. My most recent milestone was hiking to the nearest store from my house to pick up some water when we had a surprise water main break that made ours undrinkable for several hours. This was another one of those things I'd thought was simply beyond me - the store is across a six-spoked intersection that requires yet another short but steep section that would be hazardous to risk falling down at, so I've never even thought to try it. It was about a half hour round trip walk, and I was hot and tired from hauling a big jug of water home - but I proved that I could do it, if need be. Polestix is another word for FREEDOM to me. So - enough story, because I know I have many more of these tales of wonder in my future. In the next few months, I'll be traveling to hilly West Virginia, up to Maine to hang out in the wilds, and camping at a festival this next spring. My hiking sticks will be with me all the way. Let me talk details about these sticks. All of the Pacemaker Stix models come with the various feet attachments I'd mentioned, and each of them quickly and easily telescope open and closed to the correct height. The shafts are 'aircraft grade' aluminum with tungsten tips, which make them both ridiculously lightweight (only about 8-10 oz, each!) as well as durable. The handles and straps differ from pole to pole to provide the correct gripping technique for their purpose, but each of the handles are made with cork, which is lightweight and extremely comfortable and easy to grip even when your hands get sweaty. 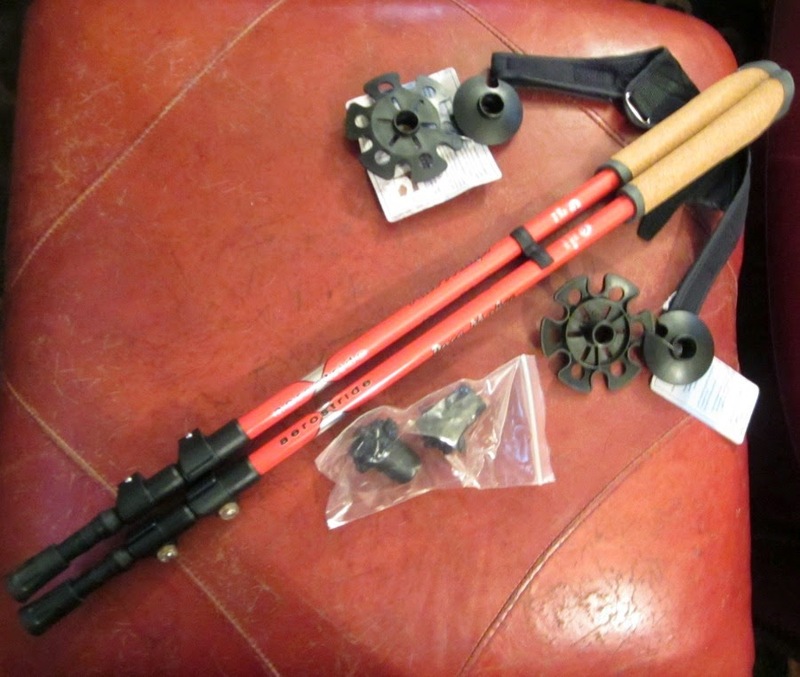 In looking at other examples of hiking sticks, I was surprised to discover how low priced Pacemaker Stix are compared to many others - the Expedition Hiking Stix and Aerostride Nordic Walking Poles are only $59.95 per set. There is also another model called the Journey Anti-Shock Poles that are a mere $39.95, as well as a singular walking pole called the Trek-Cam Micro Mono Pole that costs only $29.95, and retracts all the way down to 15.5", making it perfect to tuck into a bag for the person on the go. Pacemaker Stix also sells extra feet accessories separately, should the ones that come with the set wear out or go missing. Whether you're in good shape and looking for a simple low impact workout, a serious hiker, or someone like me who just wants to improve your health and balance and haven't found an easy way to exercise, I cannot recommend Pacemaker Stix strongly enough. For someone with balance issues, I do recommend starting with the Expedition Hiking Stix. They will help align your posture properly while providing support on both even and more rough surfaces, and are probably the best multi-purpose tool you could ask for. For those without balance issues, who would just like to ramp up your walking routine on paved surfaces, the Aerostride Nordic Walking Poles are your ticket. I'll be writing a post soon about these, explaining the Nordic Walking procedure in more depth (from my baby-beginner perspective), but you can also read about it, and watch videos on YouTube that can demonstrate the technique enough to get started. 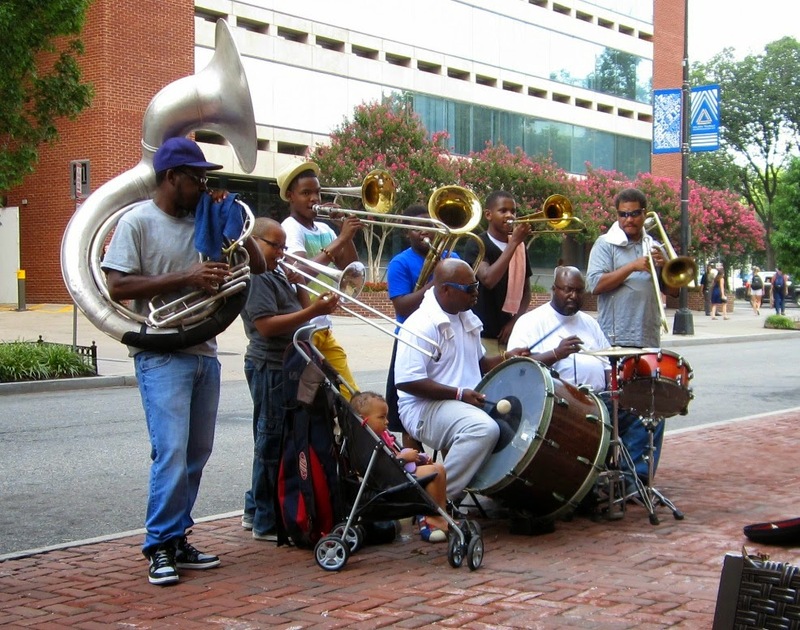 There are even classes available in some areas that will help you learn to do it properly. No matter which you choose, you're going to get excellent value for your money, without heavy expensive equipment to lug around and no huge time commitment needed to make them worth your while. Remember - it doesn't matter how long you walk. It matters how often. Fifteen minutes a day will leave you able and willing to commit to longer adventures, I promise you! Get started today! 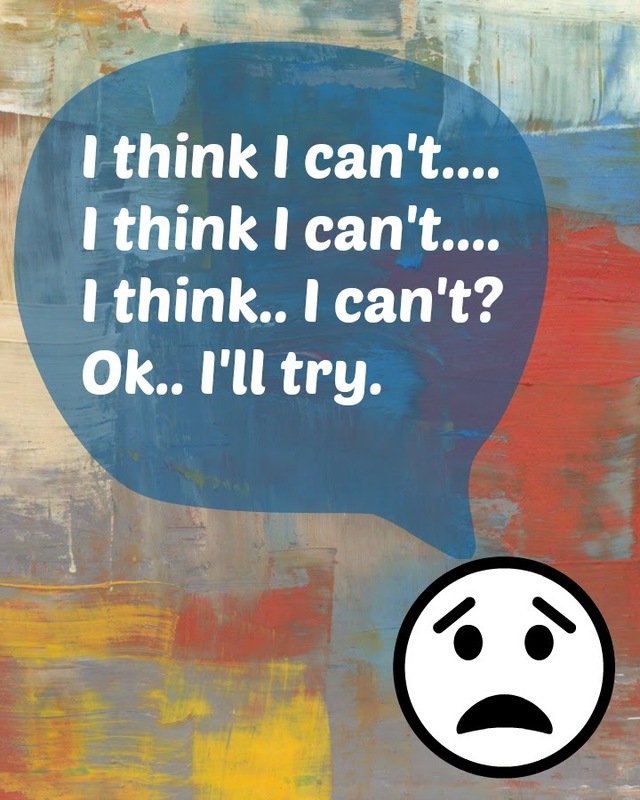 Really, nothing shuts up that inner critic like getting out there and doing what it says you can't do. Sometimes you just need the right tool to make that happen. For me, Pacemaker Stix are the right tool. ~ Anti-Procrastination Tuesday, Backyard Farming Connection, Be Inspired, Brag About It, Create - Link - Inspire, Good Tips Tuesday, Handmade Tuesdays, Healthy Tuesday Hop, Hearth & Soul Hop, One Project At a Time, The Scoop, Share It Link Party, Show & Share, Take-A-Look Tuesday, Time to Sparkle, Too Cute Tuesday, Totally Talented Tuesday, Treasure Box Tuesday, Tuesdays At Our Home, Turn It Up Tuesday, Tutorial Tuesday, Two-Cup Tuesday, You're Gonna Love It Tuesday. ~ Cast Party Wednesday, Down Home Blog Hop, Fluster's Creative Muster, Hit Me With Your Best Shot, Homemaking Link Up, Inspiration Board, Project Board, Homemaking Party, Mommy Club, Moonlight & Mason Jars, Penny Pinching Party, Show + Tell Wednesday, Wake Up Wednesday, Wednesday Round Up, Wednesday Whatsits, What Are You Doing Wednesday, Whatever Goes Wednesday, Whimsy Wednesday, Wicked Awesome Wednesday, Wildcrafting Wednesday, Wonderful Wednesday, Work It Wednesday, Works For Me Wednesday, Wow Me Wednesday, Wow Us Wednesday, Your Whims Wednesday. 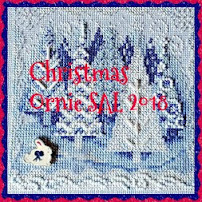 ~ Fabulously Frugal Thursday, Home and Garden Thursday, HomeAcre Hop, It's a Party, Share Your Cup Thursday, Showcase Your Talent Thursday, Thrifty Thursday, Thursday Favorite Things, Time Travel Thursday. 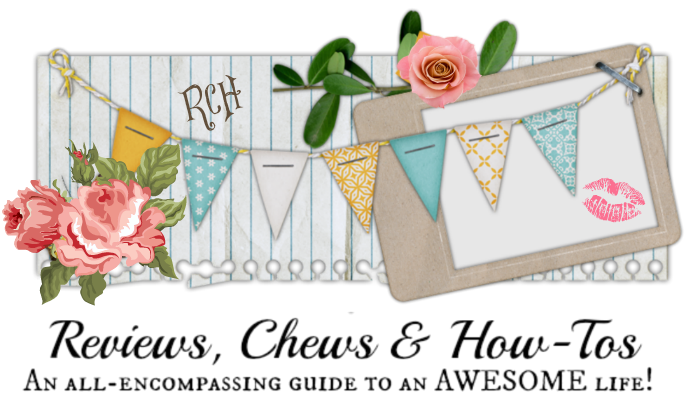 ~ Anything Goes, City of Links, Fabulously Creative Friday, Fabulous Finds, Farmgirl Friday, Flaunt It Friday, Frugal Friday, Home Sweet Home, Pin Junkie Pin Party. ~ Dare to Share, Saturday Sharefest, Say G'Day Saturday, Serenity Saturday, Simple Saturdays, Simply Natural Saturdays, Sparkles Inspiration Link Party, Super Saturday, Weekend Wind-Down. 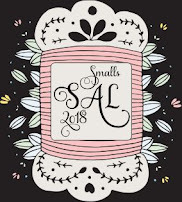 ~ DIY Inspired, DIY Sunday Showcase, Nifty Thrifty Showcase, Silver Pennies Sunday, Submarine Sunday, Sunday Showcase. Lynda, I'm clapping for you! This is wonderful, I'm so glad you decided to try it. Rheumatoid arthritis is in my family, and have relatives crippled by it. I'm amazed at your transformation. I have to keep this in mind! It could be a good present! I'm amazed too, Rose-Marie! I had very low expectations! I think these would make a great present for anyone! 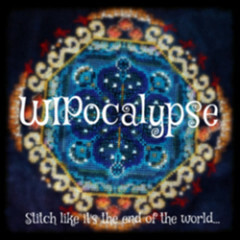 I'm so glad I stumbled upon your site. I have chronic back and knee issues that have severely and perhaps conveniently restricted my movement and desire to exercise. A neighbor who has had multiple procedures for leg problems swears by his, but I've been reluctant to invest. I do believe that you've changed my mind. Brava! BTW, I went to American U for my undergraduate degree and have family in Falls Church and Arlington, so your guides to DC will be a pleasure to read. Thanks again. I will have to get on those! I'll be up six times a year at least, to deal with my infusions, and my plan is to let them be walking days. I hope you will give these a try - just the difference between a balanced pair of sticks over a cane makes a huge difference in the strain and impact to back and joints. I wish I'd discovered this years sooner. These look great. I don't hike much but im sending this article to my boyfriend and dad! What a thorough review! I've seen people using something similar around my neighborhood, and now I know more about what hiking poles are all about. Great review. I have seen people use these but now you have my ears perked up. I have mobility issues and I bet these would be helpful to me getting around. Especially in the winter! Walking sticks are very helpful and these look like great ones. Last year we walked 110 km. of the Camino De Santiago in Spain and a walking stick really was nice to have. Thanks for sharing with SYC. Who knew! This is an awesome review thanks for such good info! Thanks for linking up at Sparkles of Inspiration Link Up Party! Pinning this for later! These look really nice! I have mobility issues and these would help me get around safety. I am sure my kids would use them as well, as they are avid hikers. Thanks for sharing this review! I am looking for hiking or trekking pole reviews to pick which pole should I go for and your review on pacemaker surely helps me think to get it.